Are miners — the nodes on a blockchain that process transactions — partners in a company? And, if they are deemed partners, and a cryptocurrency project collapses leaving coin holders holding the bag, what legal construct is in place to protect miners from lawsuits? One Vermont lawyer sees a “nightmare” unfolding. Stepping back a few steps, last month, several news sites ran stories about proposed legislation (S.269) in Vermont put forth by Senator Alison Clarkson on January 3, 2018. Most focused on the tax element — blockchain projects based in the state would have to pay $0.01 per token mined, traded or transferred — but missed the main point of the legislation, which was to set Vermont up as a safe haven for cryptocurrency projects. The legislation seeks to establish a so-called “digital currency limited liability corporation” (LLC) in Vermont. An LLC is a type of corporate structure where individuals cannot be held personally liable in case the company is sued. Right now, blockchain companies operate in a fuzzy gray area in terms of business structure. If push comes to shove, they could be classified as statutory partnerships, leaving miners and others who contributed to the project with no liability shield. “Legally, it is not only plausible; it is the most probable outcome,” said Vermont lawyer Oliver Goodenough in speaking to Bitcoin Magazine. Goodenough is co-director at the Center for Legal Innovation of Vermont Law School, the body that produced the report behind the Vermont legislation. What are blockchain companies if they are not partnerships? In the U.S., the default association of two or more persons who carry on as co-owners of a for-profit business is a general partnership, whether or not that is what those individuals intended. In a general partnership, liability is not simply limited to the assets of the business, but individual assets as well. That means, if a cryptocurrency crash occurs, and coin holders suffer losses because a token’s value has dropped to nothing, plaintiffs’ attorneys could argue a blockchain constitutes a statutory partnership and hold miners personally liable. “Miners are running a mutual network from which they profit mutually and for which they have rules for the division of that profit, and that is quite plausibly a partnership,” said Goodenough who thinks it could spell disaster for blockchain entities. “Miners wake up one morning and suddenly, in this nightmare land, they are all partners,” he said. The idea is not so far fetched when you realize some cryptocurrency projects are already being hit by lawsuits. After ruling that some virtual tokens, including the DAO token, qualify as securities and are subject to federal securities laws, the U.S. Securities and Exchange Commission (SEC) stopped short of filing charges against the DAO. But that did not stop the securities plaintiffs’ bar from taking aim at ICOs. In fact, currently, at least four class-action suits have been levied against the organizers of Tezos, a project that raised $232 million in an ICO in July 2017. Who is to say cryptocurrency miners would not face similar class-action suits? 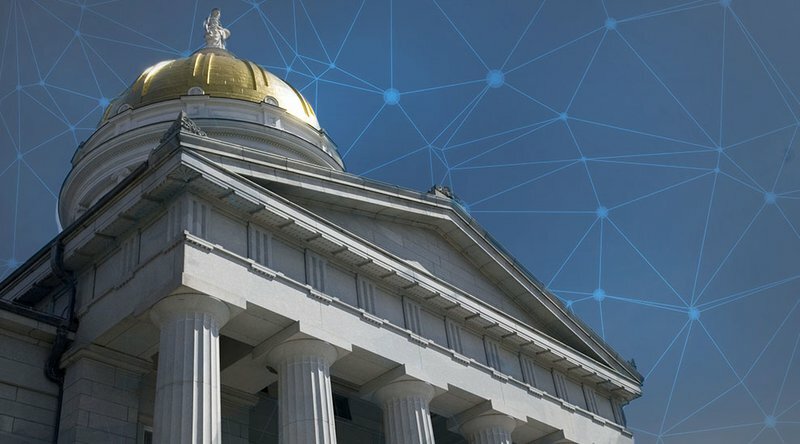 The point of the Vermont bill is to roll out the welcome mat for blockchain businesses. Setting up a subcategory LLC means that cryptocurrency projects will be able to specify how the company designates the participants within the system. In addition to outlining a business structure, Goodenough says a digital currency LLC would also allow projects to legally define who has the authority, and under what conditions, to initiate a hard fork to change the protocol or roll back a large transaction, such as when Ethereum initiated a blockchain hard fork to roll back the DAO funds. If the bill passes, cryptocurrency projects wanting to set up digital currency LLC, would have to maintain a physical presence or conduct some of their activities in the state. As mentioned, they would also have to pay a minor tax on any token produced or transacted, but, overall, it may not be a bad deal for blockchain projects.